Within the past ten years, social media such as Twitter, Facebook, MySpace, YouTube, Flickr, and others have grown at a tremendous rate, enlisting an astronomical number of users. Social media have inevitably become an integral part of the contemporary classroom, of advertising and public relations industries, of political campaigning, and of numerous other aspects of our daily existence. 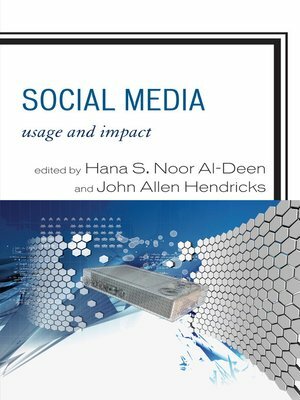 Social Media: Usage and Impact, edited by Hana S. Noor Al-Deen and John Allen Hendricks, provides a comprehensive and scholarly analysis of social media. Designed as a reader for upper-level undergraduate and graduate level courses, this volume explores the emerging role and impact of social media as they evolve. The contributors examine the implementation and effect of social media in various environments, including educational settings, strategic communication (often considered to be a merging of advertising and public relations), politics, and legal and ethical issues. All chapters constitute original researchwhile using varied research methodologies for analyzing and presenting information about social media. Social Media: Usage and Impact is a tremendous source for educators, practitioners (such as those in advertising, PR, and media industries), andlibrarians, among others. This collection is an essential resource for any media technology course. With the rapid proliferation and adoption of social media, it is a juggernaut that must be addressed in the higher education curriculum and research.